The accusations flew, with a representative of the school’s Education Management Organization (EMO), Pearson OBL, angrily accusing the school’s Board of Directors of making misstatements, and stealing intellectual property. “If you were a high school student submitting this [charter] application to your English teacher, you would be guilty of plagiarism,” Jay Ragley, vice president of state and strategic client relations for Pearson, told the advisory board. Ragley claimed the school’s board copied the initial charter application for Connections Academy in its request to the advisory to amend its charter to terminate its relationship with Pearson. He also accused the school’s board of posting images from a Pearson ad on its new website without permission and using Connections Academy teachers as “pawns” in the management dispute. “Pearson had to pay the payroll for the teachers of this school the last three months because this board decided it wasn’t going to pay the invoices,” Ragley said. He went on to call the board’s character into question. “If this was an initial application, would you approve it based upon the competency and character of the board and the application before you?” Ragley asked. The unprecedented hostility left spectators shaking their heads in disbelief. Meanwhile, Donna Rascoe, attorney for the charter school’s board, pushed back against Ragley’s claims. After the smoke cleared, the Charter School Advisory Board (CSAB) opted to send the matter to the State Board of Education (SBE) without a recommendation. Because it didn’t play a role in selecting the two virtual charter schools, the CSAB agreed to allow the SBE to make the decision about whether to amend the school’s charter to allow it to end relationship with Pearson. In an interview, Walker explained that the CSAB did review and approve an application for NCCA through the regular charter school application process in 2013. But after state lawmakers introduced the state’s virtual charter school pilot program, the SBE handled the review and approval process. That process led to the Connections Academy and N.C. Virtual Academy, both of which came online in 2015. The two schools are headquartered in Durham. The SBE is expected to take up the matter when it meets next month. Students attending both online schools have struggled academically. And both have received the state letter grade of “D” the past three years. Despite poor performances, state lawmakers approved legislation last year to allow the two virtual charter schools to continue operating through the 2022-23 school year. 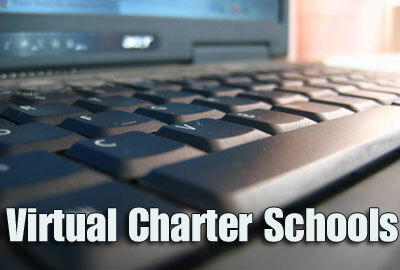 Public school advocates and many K-12 academic researchers have been openly critical of the virtual charter model. They point to dismal academic results and soaring dropout rates in states across the country. A 2015 Stanford University study, for example, reported serious deficiencies in student performance nationwide in such programs. But supporters say virtual schools serve an important student population and contend test scores will improve. Subpar academic performance of the K-12 online school with nearly 2,600 students is at the heart of the dispute between Connection Academy’s board and Pearson. “We’re not satisfied with our student outcomes and we know that we must make significant changes to better meet the needs of our students,” said Jenene Seymour, a member of the school’s Board of Directors. In making its case to part ways with Pearson, the school’s board complained that the management firm hasn’t provided the school a curriculum that aligns with the state curriculum or is pliant enough to allow teachers to make changes to meet the needs of individual students. “Ninety-five percent of our high school science and math teachers must teach our students, in order to follow the prioritized state standards, all of what they teach is outside of the existing curriculum,” said Jill Hammegren, a member of the Board of Directors. Hammegren added that none of the middle school math curriculum is fully aligned to the Common Core or meets the state’s new revised standards. The board also complained that Pearson doesn’t share information about how money is spent or allow school leaders to assume responsibilities agreed upon when the contract between the school and Pearson was amended in July 2017. Through that amendment, the school assumed responsibility for certain support services such as accreditation, school policies, handbooks and insurance. Then in December 2018, the board said Pearson presented a proposal to resume control of those services and to make all school staff Pearson employees. That appears to have been the tipping point for the Connections Academy board, which is also requesting a name change to North Carolina Cyber Academy. “The Board has concluded that, at this point in the life of our school, it would be in the best interests of the students, families and staff to transition from our current EMO arrangement to a model of joint responsibilities shared by the school and a small group of vendors,” the board wrote in an email message to Dave Machado, director of the Office of Charter Schools. The new model of operation includes contracting with multiple vendors for services previously provided by Pearson. Edgenuity Inc., would provide an online curriculum that aligns with state standards. The board would continue to contract with Learning Management System for reporting and communication tools to support curriculum delivery and student reporting. 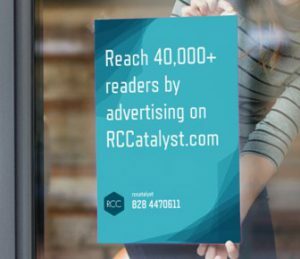 Additionally, the board would partner with Phillips Managed Support Services for distribution and technology support services, the Simon-Crair Group for financial services and Media Partners Inc. for marketing services. “What we’re trying to say is something is not working, let’s make change. But then we’re not allowed to make that change, that’s where we’re running into the problem,” said Domina Blount, director of academics for Connections Academy.